Douglasville City Hall is located at 6695 Church Street, Douglasville, GA 30134; phone: 770-920-3000. Photo: 6354 Cooper Street. 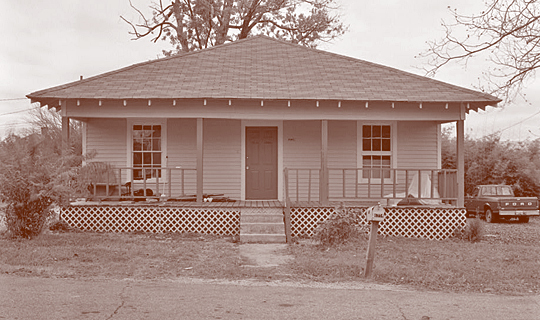 Example of worker housing (ca. 1900) constructed as part of a mill village complex in Douglasville. Historic American Buildings Survey [HABS GA-2317], Michael Wyatt, photographer, n.d., memory.loc.gov, accessed September, 2012.